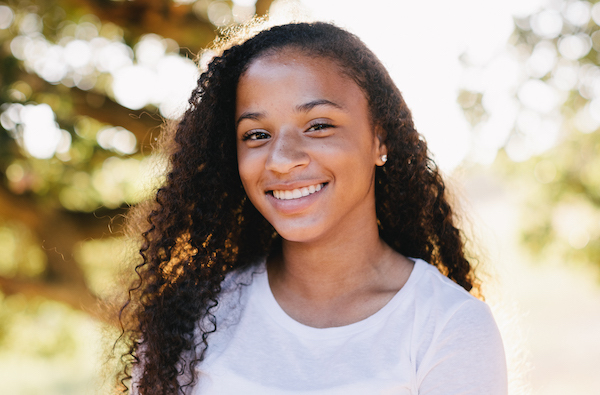 Joelle Moore spent part of her summer at the Stanford Artificial Intelligence Laboratory Outreach Summer Program (SAILORS, now called Stanford AI4ALL). I decided to participate in a summer program to explore my interest in STEM outside of what is currently taught at my school. I had heard a lot about artificial intelligence and wanted to learn more. I thought the summer would be the best time to explore the field as a career. I looked at several programs and chose to apply to SAILORS (Stanford Artificial Intelligence Laboratory Outreach Summer Program, now called Stanford AI4ALL) because I had read that Stanford had one of the best AI programs in the country. I also wanted to meet other girls from around the world with interests similar to mine. In a typical day, my roommate, other friends and I went for a run at 6:45 a.m. Afterwards, we had showers then breakfast and went to our first lecture of the day at 9 a.m. Lunch followed from noon to 1 p.m., then we broke out into our research groups. My group was Natural Language Processing. During our group sessions we had specialized lectures on subcategories of NLP and worked on partner coding. The instructional day ended at 5:30 p.m. then we met for dinner at 6 p.m. We had structured activity time for the first few days until 9:30 p.m. Later in the week, we had free time where we could tour campus. Residence meetings were held at 9:30 p.m. to talk about our day. Lights-out was at 11 p.m. The most memorable moment of my summer was making friends from India, Pakistan, Turkey and Thailand. The five of us became very close and we still keep in touch via FaceTime and WhatsApp. One evening we all got together to get Panda Express for dinner and went on an adventure around campus. Although we come from very different cultures, we have a lot in common and have fun together. If you’re looking for a summer program, seek out areas that interest you. Don’t be afraid to go to a camp where you don’t know anyone else attending. You will make new friends and realize that so much fun comes from getting to know the other students and not just interacting with and learning from the instructors.